Wherever we go, we're always on the lookout for interesting ceramics and art. Sometimes it's unavoidable, and will follow us around on our holidays! Our potter, Holly, recently just returned from a short visit to Soller in Spain. Whilst there, she decided to pop into the train station, and lo and behold, she found herself in a Picasso Ceramics exhibition! 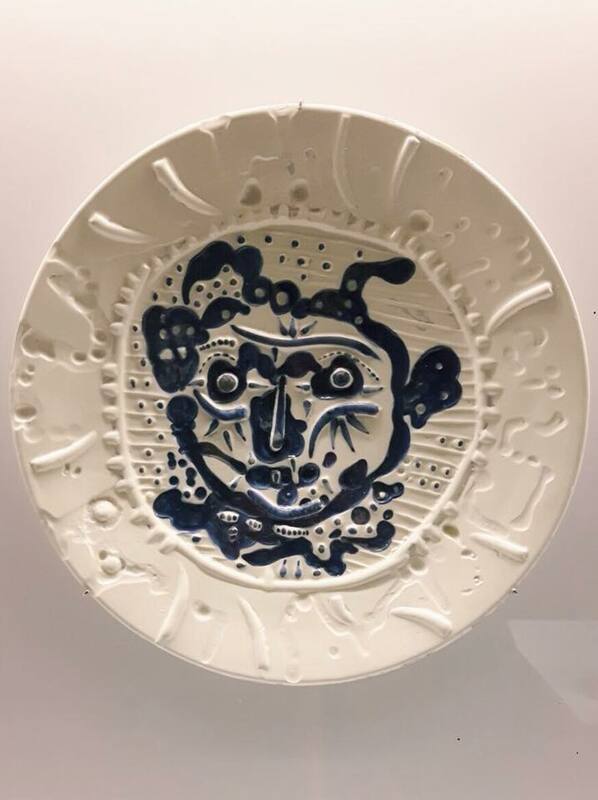 One of her favourite pieces by Picasso is the quirky and fun Fish jug, which only the other day we were discussing in the shop, and to her surprise there it was in the exhibition! Holly admitted to getting a little emotional; after all, she wasn't expecting to stumble across one of her favourite pieces of pottery whilst searching for a station toilet! It makes us wonder - what sort of amazing exhibitions are there out there that are waiting to be happened upon, and have you ever been pleasantly surprised to find something special somewhere you weren't expecting?